While everybody has been enjoying this wonderful, mosquito-free summer, the Fly and the Camel have been busy preparing for a great fall season. 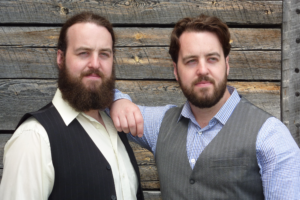 First up, the folk/roots duo ‘The Sturgeons’ on September 23rd. 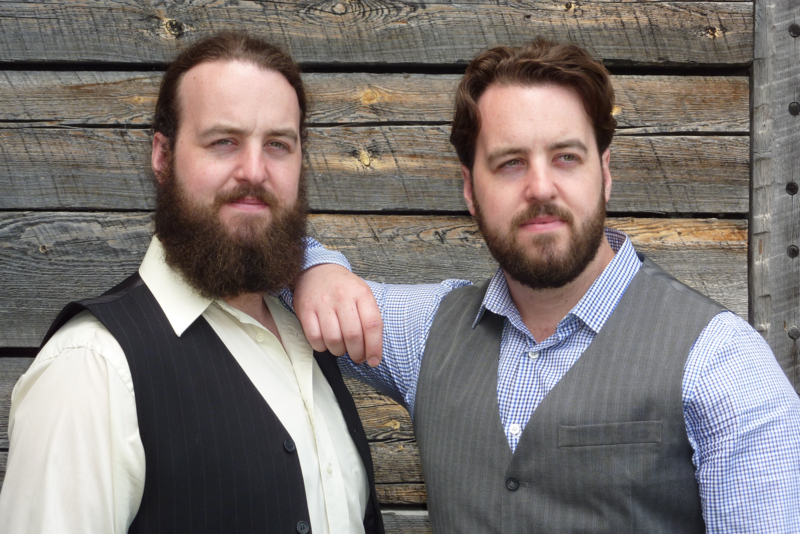 Twin brothers Calan and Lucas Hamilton’s eclectic brand of honest folk-pop has brought them critical acclaim, successful Canadian tours, radio airplay, and the privilege of sharing the stage with some of Canada’s heavy hitters, all without ever losing their signature grit. 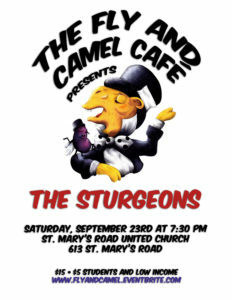 With two records under their belt and plans for more music and touring ahead, The Sturgeons swim on strong. 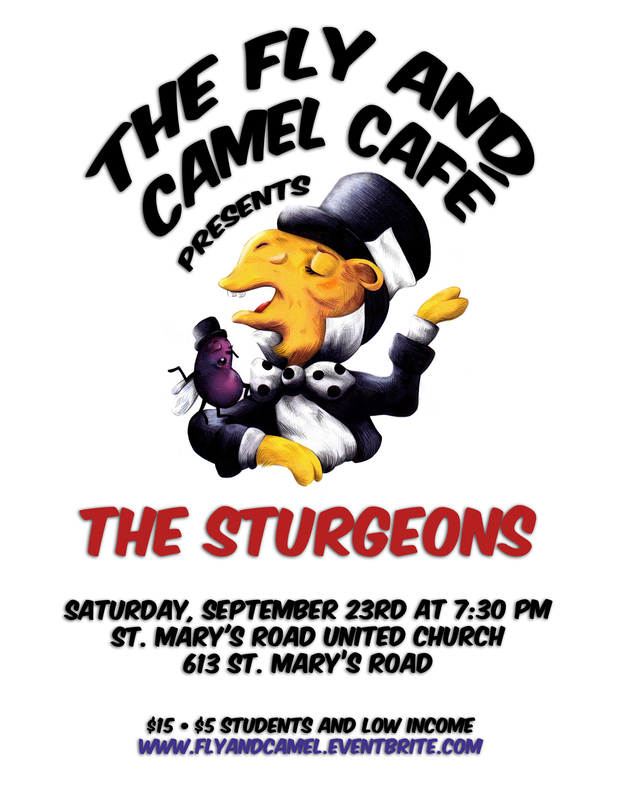 The Sturgeons will be joined on stage by multi-instrumentalist Rory Verbrugge.